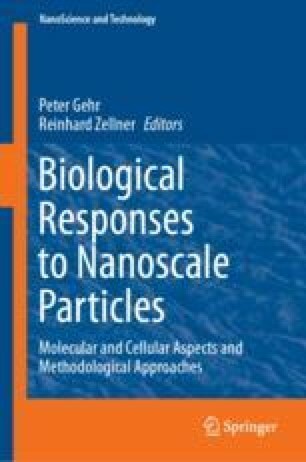 In response to the significant increase in nanotechnology over the last three decades, and the plethora of engineered nanomaterials (ENMs) now becoming available, understanding as to how nano-sized particles may impact upon human health has become a dominating area of research worldwide since the late 1990’s (Stone et al. in Environmental Health Perspectives, 2017) . Whilst approaches constantly adapt to the increasing number and variety of ENMs produced for a plethora of different applications, the quantity of alternative physico-chemical characteristics, a key factor in the potential hazard of ENMs (Bouwmeester et al. in Nanotoxicology 5:1–11, 2011) , is further increasing in number and type. The authors would like to acknowledge all members of the In Vitro Toxicology group who contribute to the exhaustive scientific discussions.